I don’t think there is anything more gratifying then working with hospice. 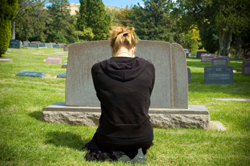 A few years after my son’s death, I decided to sign up for the training sessions, which surprisingly many people after they lose a loved one. I had started to write about my son and felt that working with hospice would be a good fit for me with my experiences. I came to realize during the classes that it wasn’t so much my personal insight about loss but my humor that would help lift patients and caregivers. If someone is dying, why would they want some solemn person taking care of them? If my days were numbered, I would rather be with a funny person than a serious one. When you are a hospice volunteer, you soon find out that the caregivers love it when you come to help out. It gives them a needed break from their 24-hour duties. About a year into it, I got an unexpected call to fill in for a sick volunteer. The job was to give an ailing man a shower. “You want me to give him a shower?” I asked the hospice office. The man had been a professor and was now handicapped. I started the water running in the shower as I helped him take his clothes off. Through his silence, I realized how overwhelming and humbling it must have been for him. I helped him in on the shower stool and washed his hair and body, placing a warm washcloth across his shoulders to keep him from getting cold. When it came time to shave him, I did a terrible job. I feared I would cut him because of his loose skin. When I washed the shaving cream off his face, he looked moth eaten, with tufts of hair sticking out everywhere. After toweling him dry and getting him dressed, I felt good. Later, I became the go-to gal for bathing hospice patients.They told me much later that not many people liked to give showers. As time went on, washing an adult filled me with such overwhelming spiritual awe. The patients don’t get to shower that often so you know how wonderful it must feel as the warm water runs over the crowns of their heads and over their limbs. You place your hand on their backs for stability and rub their bodies with a sweet smelling soap. This small gesture is so significant to them you can see it in their faces. The funny thing is, even though I am doing them a favor, I have never felt so close to God as when I wash people. The beauty of the human connection and the trust it takes to give yourself over to another almost brings me to tears. They have lost their independence,. No matter how much they had accomplished in their lifetime or how much money they had acquired, they have been forced to come back to the beginning of the circle, depending on someone. When people are close to the end of their lives, you see the serene beauty in the acceptance of their death; there is a quietness of the wait, the grace of looking forward. You become a privileged participant who gets to have a tiny glimpse of your child’s connection with God by connecting with another soul. After 18 years of marriage and career, we decided to adopt two babies. My oldest had many health issues which after 10 years led to a fatal anaphylactic shock. I believe that my spiritual beliefs helped me understand that the tragedies we face challenge us to confront our pain and slowly work through it. That is what I did through helping with hospice and watching the process of transition for the dying and seeing that even in the hardest times the gentle kindness of humor is a necessary tool.